John Chambers (September 12, 1922 – August 25, 2001) was an American make-up artist and prosthetic makeup expert in both television and film. He was a recipient of an Academy Honorary Award by The Academy of Motion Picture Arts and Sciences in 1968. He is best known for creating the pointy ears of the character Spock on the television series Star Trek (1966), and for his make-up work on the Planet of the Apes film franchise. Chambers was awarded CIA's Intelligence Medal of Merit for his involvement in the Canadian Caper, in which six American hostages escaped, during the 1979 Iran hostage crisis; the incident was the basis of the film Argo, which won the 2012 Academy Award for Best Picture, where he was played by John Goodman. Chambers was born in Chicago, Illinois, in an Irish-American family. Chambers trained as a commercial artist and started his career designing jewelry and carpets. Following service as a medical technician during World War II, Chambers found employment repairing faces and making prosthetic limbs for wounded veterans at the Veterans Affairs hospital in Hines, Illinois. He also trained under Ben Nye, then head of make-up at 20th Century Fox. In 1953, Chambers joined the NBC television network as a make-up artist for live shows. After working on his first film Around the World in Eighty Days in 1956, he then joined Universal Pictures. He attracted attention for his work on the film The List of Adrian Messenger, in which the audience had to guess which celebrities were concealed under Chambers' makeup; the actors' identities were not revealed until the end of the film. Chambers also worked on The Munsters and The Outer Limits TV series. Chambers became known worldwide for his work on the Planet of the Apes film franchise, which began with the eponymous 1968 film. During its production, he held training sessions at the 20th Century Fox studios to mentor the other 78 artists working on the film. He won an honorary Oscar at the 41st Academy Awards in 1969 for his work on film, long before the Academy Award for Best Makeup was established in 1981. He was the first motion picture makeup artist to receive a star on the Hollywood Walk of Fame. Chambers worked on the pilot episode of Mission Impossible and created the pointed ears worn by Leonard Nimoy's Spock in the original Star Trek television series. He also created Lee Marvin's prosthetic nose for his Academy Award-winning role in Cat Ballou (1965), and a prosthetic chest for Richard Harris in A Man Called Horse (1970), where he was hung on pins for a native American initiation ceremony. Some of his character creations, including Cornelius and Dr. Zaius from the Planet of the Apes series, are on display at The Science Fiction Museum in Seattle. Chambers served as president of the Society of Makeup Artists as well. In the late 1970s, Chambers worked as a contractor for the CIA, creating “disguise kits” for CIA personnel stationed in other countries. Some of his work can be seen at the International Spy Museum in Washington D.C.. In 1980, he was enlisted by CIA officer Tony Mendez to work on the Canadian Caper—the rescue of six American embassy personnel who hid at the residence of the Canadian ambassador during the Iran hostage crisis. 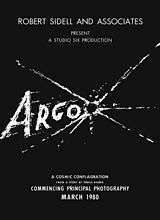 Chambers set up a fake movie and production company as a cover story of a film crew planning to shoot a science fiction film, titled Argo, in Iran. To make the cover believable, Chambers used actor Michael Douglas's former office during the filming of The China Syndrome (1979) at Sunset Gower Studios. Chambers and Mendez printed fake business cards, held a film press party at a nightclub in Los Angeles, and took out advertisements in Variety and The Hollywood Reporter magazines. Fellow make-up artist Robert Sidell and his wife Andi assisted in the hoax; Andi posed as the receptionist of their fake production company. The rescue effort was ultimately successful, and Chambers was awarded CIA's Intelligence Medal of Merit, but he was required to keep his involvement a secret, until the story was declassified in 1997. In the 2012 Academy Award for Best Picture-winning film Argo, Chambers was portrayed by John Goodman. He retired from the industry in 1982 and lived in a retirement community, the Motion Picture Country Home, in Woodland Hills, California. In 1998, a documentary, A Tribute to John Chambers (1998), directed by Scott Essman, was released. That same year, he was named 94th in the list of "100 most influential people in the history of the movies". Chambers was also given a "star" on the Hollywood Walk of Fame at 7006 Hollywood Boulevard, one of few make-up artists to have one. 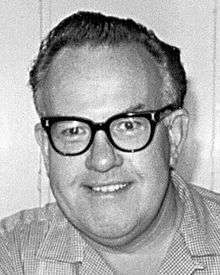 He died on August 25, 2001 in a California hospital, at age 78. He was survived by his wife Joan. 1 2 Patrick Hruby (October 10, 2012). "Tony Mendez, clandestine CIA hero of Ben Affleck's 'Argo,' reveals the real story behind film smash". The Washington Times. Retrieved March 6, 2013. 1 2 3 4 Pendreigh, Brian (7 September 2001). "Obituary:John Chambers: Make-up master responsible for Hollywood's finest space-age creatures". The Guardian. Retrieved Feb 27, 2013. ↑ "Would You Believe Maurice Evans?". Life. August 18, 1967. Retrieved 2012-01-03. ↑ "Oscar-Winning Makeup Artist Dies at 78". Theforbidden-zone.com. Retrieved January 3, 2012. ↑ Johnson, John (1996). Cheap Tricks and Class Acts: Special Effects, Makeup and Stunts from the Fantastic Fifties. McFarland. p. 389. ISBN 0786400935. ↑ Weaver, Tom (2010). Sci-Fi Swarm and Horror Horde: Interviews with 62 Filmmakers. McFarland. p. 314. ISBN 0786458313. ↑ "Million dollars worth of make-up obliterates some famous faces". Life. 18 Aug 1967. p. 82. Retrieved Feb 27, 2013. 1 2 Chorvinsky, Mark (Summer 1996). "The Makeup Man and the Monster: John Chambers and the Patterson Bigfoot Suit". Strange Magazine. ↑ Scott, Mike (October 12, 2012). "'Argo' review: Ben Affleck brilliantly balances history and humor in geopolitical thriller". NOLA.com. New Orleans: The Times-Picayune. Retrieved 2012-11-05. ↑ Laurier, Joanne (December 12, 2001). "US cable channel whitewashes the CIA". International Committee of the Fourth International. Retrieved January 3, 2012. ↑ Archived April 2, 2009, at the Wayback Machine. ↑ Bearman, Joshuah (April 24, 2007). "How the CIA Used a Fake Sci-Fi Flick to Rescue Americans from Tehran". Wired. Retrieved January 3, 2012. ↑ Roger Ebert (September 10, 2012). "Toronto #4: And the winner is...". Roger Ebert's Journal. Chicago Sun-Times. Retrieved September 14, 2012. ↑ Scott Smith (1998). The film 100: a ranking of the most influential people in the history of the movies. Carol Pub. p. 285. ISBN 0806519401.